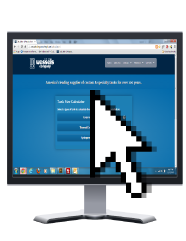 Quickly and easily size a tank from any web browser with our Tank Sizing Calculator. Calculate suggested models, view and download submittals, and email quote requests all with this simple web-based app. Mac and PC compatible. A tank can be viewed as a container of air and water. The goal in sizing a tank is to make sure the air side is large enough so that when the desired amount of water is put in the tank, the air is not compressed to a pressure greater than system design. 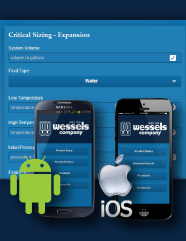 Select a PDF help sheet from our list of tanks below for assistance in sizing your pressure vessel. Acceptance Volume is the volume of water a tank is designed to hold. In a bladder tank, the acceptance volume is the volume of water that the bladder is designed to hold, which is smaller than the overall tank size. Keep in mind that the tank has pressurized air inside it and therefore it is not possible to fill the entire tank with water. Some bladder tanks have “full acceptance volume.” This means that if there is a loss of air in the tank, the bladder would be able to accept the full tank volume without permanent damage. Use this quick guide to help find the right tank for your needs. Our old custom tank sizing software package (Windows only) may not be compatible with your system. We recommend using our new Tank Sizing Calculator. However, if you’d like to use our old software, you may download below.